Creating your home to be inviting and comfortable as well as unique by controlling your lights, security and music from a keypad, dimmer switch or remote. You are not limited to a spot on the wall, you can adjust from anywhere from your bedside, tabletop to inside of your car. 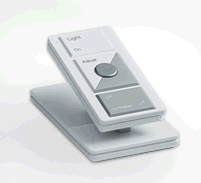 Have the convenience of tabletop control at your bedside or anywhere to never forget to turn out the lights. 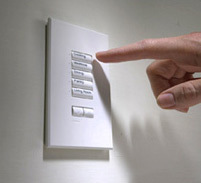 Your relaxing retreat, Lutron wireless controls can make your lights. Whether you want seamless transitions from your kitchen to your more intuitive and personalized to your lifestyle. To be able to adjust your window shades with precise control to create elegant transitions of daylight. Still view the outside while reducing glare on computer and television screens. Create privacy at the touch of a button, protect valuable furnishings from harmful UV rays and create complete darkness by lowering blackout shades, any room can be personalized for elegance and comfort.